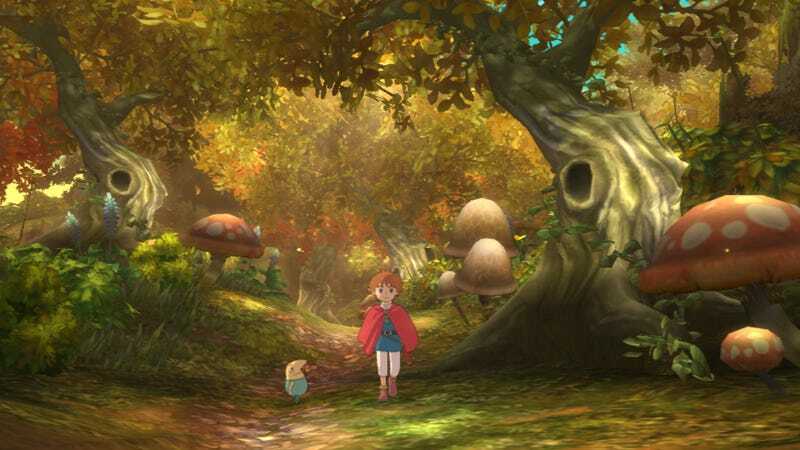 Now that the PlayStation 3 installment of Level-5's Ni No Kuni has a release date, Japanese gamers know exactly how long they have to drool over the gorgeous visuals before diving into Studio Ghibli's video game adventure. With the Nintendo DS version a fading memory, Level-5 is hard at work making sure the console debut of the anime studio behind My Neighbor Totoro and Kiki's Delivery Service is as stunning to play as it is to look like. As you can see in these latest screens, Ni no Kuni: Shiroki Seihai no Joō (Second Country: The Queen of White Sacred Ash) is a visual masterpiece. From a distance it's hard to tell that it's a game, at least until the dialog windows pop up. Of course visuals aren't everything. To justify its inflated Japanese price tag the game will have to deliver much more than good looks. Here's hoping it does well enough to warrant a North American localization. Otherwise I might have to halfheartedly attempt to learn Japanese again.